One of the most anticipated rematches in UFC history is on the verge of being finalized. According to multiple sources, the promotion is officially targeting Daniel Cormier vs. Jon Jones 2 at UFC 214 on July 29 in Anaheim, Calif. Following Cormier’s win over Anthony Johnson at UFC 210 in Buffalo, N.Y. earlier this month, there was some consideration given to booking Jimi Manuwa vs. Cormier for the UFC light heavyweight title next. But in the end, all parties involved decided Cormier vs. Jones 2 was the fight to make. Jones (22-1) hasn’t fought since last April when he defeated Ovince Saint Preux via unanimous decision. The former light heavyweight champion was pulled from UFC 200 three days before the event last July when it was revealed that he tested positive for two banned substances, Clomiphene and Letrozole, in an out-of-competition drug test prior to his rematch against Cormier. Jones maintained he took a contaminated sexual-performance pill and, through its own independent investigation, the United States Anti-Doping Agency confirmed that to be true. However, a three-person arbitration panel ruled Jones didn’t do his due diligence in determining whether or not what he was ingesting was legal under the UFC’s anti-doping policy with USADA. As a result, Jones was given one-year suspension, which is set to expire on July 6. Jones defeated Cormier (19-1) via unanimous decision at UFC 182 in January 2015. Their rivalry, considered one of the most volatile in UFC history, dates back almost seven years and really came to a head in the lobby of the MGM Grand in Las Vegas when the duo brawled following an intense staredown in 2014. Since losing to Jones, Cormier has won four fights in a row and became the light heavyweight champion after Jones was stripped of the belt in May 2015 due to his involvement in a hit-and-run accident. This marks the fifth time the UFC has attempted to book this fight. Jones pulled out of the first attempt due to a knee injury in 2014, they fought in 2015, Cormier withdraw in 2016 due to a leg injury, and Jones was ruled out of the last attempt prior to UFC 200 when he was pulled by USADA. The event will take place at the Honda Center in Anaheim. 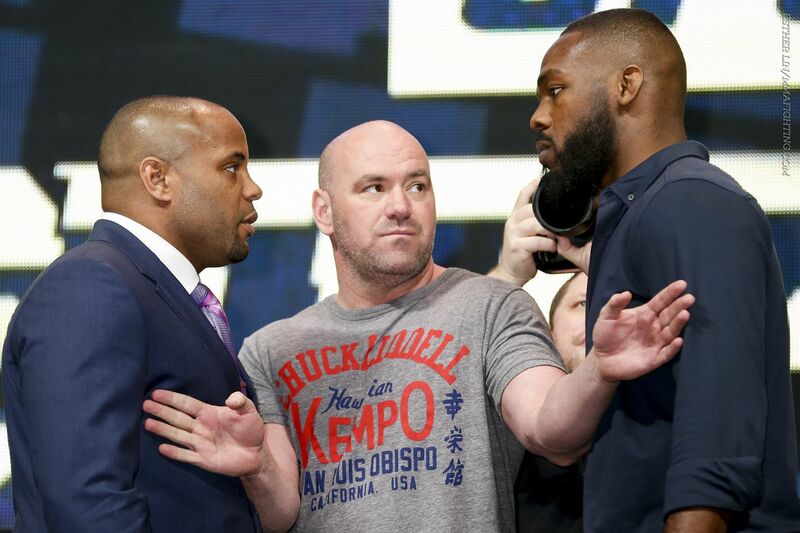 It’s unclear at this time whether the rematch will serve as the main event, as UFC president Dana White has repeatedly stated he would not headline a show with Jones after his recent suspension. Competition or Collective Bargaining – What benefits fighters more?